Gambling movies are among some of the most popular in cinema. In fact, Sundance Film Festival is currently premiering a new one featuring Bruce Willis and Catherine Zeta-Jones called Lay The Favorite. Obviously, part of the appeal is the money at stake, but there is also an air of excitement and danger associated with the world of gambling that just makes for great drama. 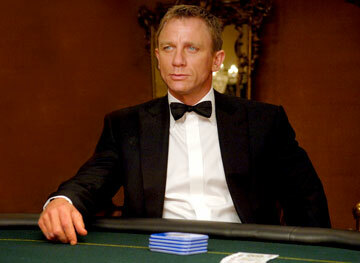 Below are 5 top films about gambling. 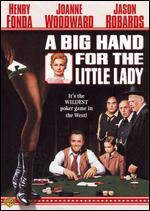 For those that love the game of poker, this is the quintessential movie on the game. Starring Matt Damon and Edward Norton, Rounders takes a look at the underground world of poker ranging from friendly home games to the seedy underground casinos of the New York area. Read most any and it cannot help but quote many of the classic lines from the movie. 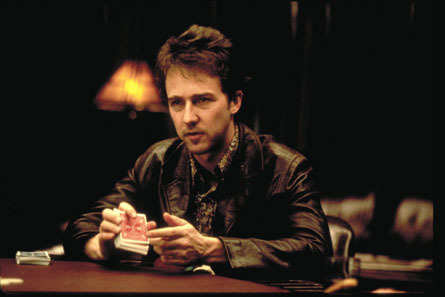 This movie became a cult mega-hit after Chris Moneymaker won the 2003 World Series of Poker and sparked the modern era poker boom. 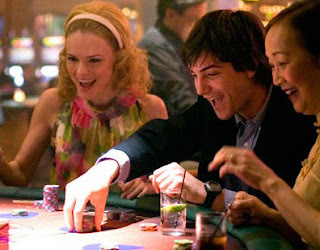 Starring Jim Sturgess, Kevin Spacey, Kate Bosworth and Laurence Fishburne, 21 is to the game of blackjack what Rounders was to poker. This film tells the story behind the rise of the MIT Blackjack Team as well as the story of Ben Campbell, the newest and brightest addition to the team. It is a tale of action, betrayal, and ultimately double-cross that will keep you glued to your seat until the end. This film stars Henry Fonds as Meredith, a man who is moving with his son and his wife Mary, played by Joanne Woodward, across country to California. He gets into a high-stakes five card draw poker game and puts his family's entire life savings at risk during the game. The game is being played as bettors stakes, meaning that if someone has more money than you, they can run you out the game. When someone makes a bet too big for Meredith to cover, he tries to get money and when he can't, he suffers a heart attack. Mary then has to take over the game and try to find a way to save their savings, but she does not know how to play poker. Or does she? The classic James Bond film was rebooted in 2006, and while the plot of the movie surrounds Bond just starting his career, everyone remembers it for the high stakes poker action. This time the game of choice was No-Limit Texas Holdem poker. While the final hand of the game was painfully predictable, it still helped to fuel the Texas Holdem craze that was already sweeping the world. 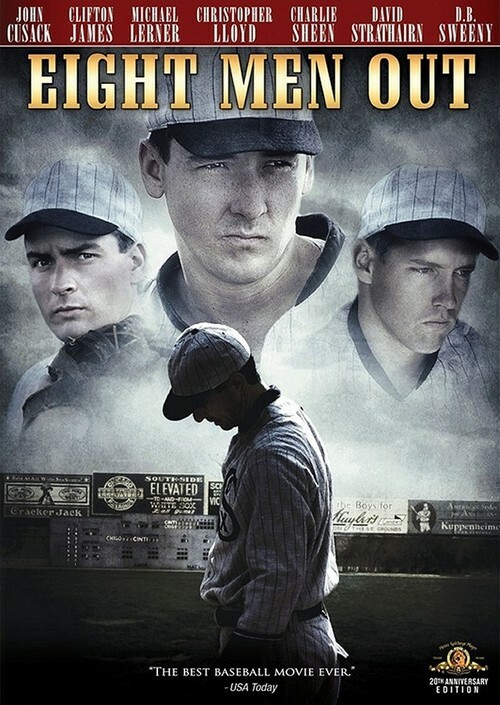 A movie you don't typically think of when talking about gambling movies, this movie focused on the story of the 1919 Chicago "Black Sox" scandal where eight members of the Chicago White Sox intentionally threw the 1919 World Series in exchange for payment for fixing the game for gamblers. The Sox were favored going into the World Series and the scandal not only forced baseball to hire its first Commissioner, but forced baseball to enact a ban on betting on the game, a ban that stands for its players and coaches until this day.